Saudi Arabia has now been confirmed as the customer that has ordered from China a large quantity of the Wing Loong II UCAV that made its first flight on February 27. Chinese state news agency Xinhua said that this is the country’s largest-ever arms export. Media in Saudi Arabia reported that the Kingdom will acquire 300 Chinese UAVs (eg. Wing Loong IIs) worth approximately $10 billion. The Wing Loong (Pterodactyl) series is produced by the Chengdu Aircraft Industry Group (CAIG). 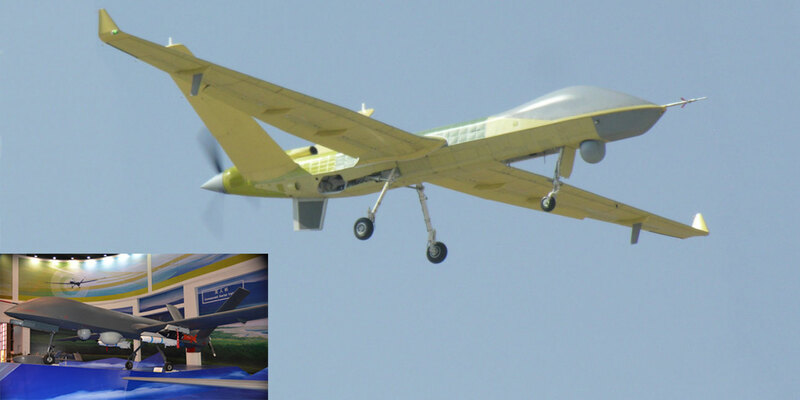 Moreover, on March 16 the King Abdulaziz City for Science and Technology signed a partnership with the state-owned China Aerospace Science and Technology Corporation (CASC) to establish a manufacturing plant in Saudi Arabia for the CH (Cai Hong or Rainbow) series of UCAVs. The Saudis already operate the turboprop-powered CH-4 UCAV series, but it was not made clear whether this new agreement covers only that type, or also the jet-powered CH-5 that was unveiled at the Zhuhai airshow last November. The Saudi assembly line for the CH series may also supply other countries in the region, such as Qatar. The primary payload for the CH-4 is the AR-1/HJ-10, capable of hitting armored targets at 10 km with its 10 kg warhead. The Saudis also already operate Wing Loong I UAVs, and are reported to have used both these and CH-4s over Yemen against the Houthi rebels there. The original deal to supply Wing Loong Is was reached in 2014 when Saudi Crown Prince Salman met Chinese General Wang Guanzhong in China. The Saudis evidently became frustrated at restrictions on the export to the Kingdom of Western-origin UCAVs such as the GA-ASI Predator and Reaper. The U.S. and European countries adhere to the provisions of the Missile Control Technology Regime (MCTR). This voluntary code was established by the G7 countries in 1987 to inhibit the proliferation of missiles that could deliver nuclear weapons. China signed up to the MCTR, but not to its subsequent extension in 1992 to cover long-range UAVs. These restrictions have led countries including Iraq, Myanmar, Nigeria and the United Arab Emirates to turn to the Chinese drone manufacturers. Iraq has used the CH-4s for strikes against the occupying Islamic State regime. The Nigerian air force has used Chinese UCAVs against the Boko Haram insurgents in the northeast of that country. The UAE has deployed its CH-4s alongside their Saudi counterparts over Yemen. Chinese analyst Zhong Jing told Chinese media that the unit cost and flexibility of operating gives Chinese UCAVs an edge over their Western counterparts. The unit cost for a Wing Loong I is reportedly to be less than $1 million, compared to $17 million for a MQ-9 Reaper. She added that the success of the CH-4 laid a good foundation for CASC’s new CH-5.